Darren Kenneth Matthews was born on the 10th May 1968 in Codsall, Staffordshire and caught the wrestling bug from an very early age. Having met up with Blackpool promoter Bobby Barron, Darren started wrestling at fairgrounds, holidays camps and around the local northern halls for various independent promoters. 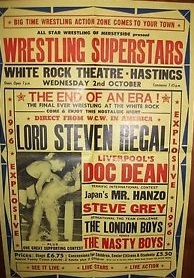 Having learnt the business the hard way Darren was soon brought to the attention of wrestling supremo Max Crabtree who signed the fresh faced youngster to Joint Promotions and he was soon wrestling nationwide under the ring name of Roy Regal then Steve Regal. Regal was soon becoming a household name and was to be given his first taste of television when on the 11th October 1986 Regal faced the World Mid Heavyweight Champion Marty Jones in a match filmed at Southport. Although Regal gained a fall off of the champion he was to eventually lose the match by way of knockout. In view of the fact that ITV wrestling was nearing the end Regal only appeared a further five times but by this time had made an impact that was to catapult him to stardom. Regal was a regular partner to Big Daddy and was facing some of the biggest heavyweights in the opposing corner but Regal wanted to make a name for himself in his own right and was soon making successful tours of Europe and Japan facing some of the biggest names of the day. Back in the UK and with televised wrestling opportunities limited, Regal left Joint Promotions and went to work for All Star Promotions where he formed a tag team with Robbie Brookside under the ring name of the Golden Boys. The team did have a televised tag match against Bob 'Blondie' Barratt and Kendo Nagasaki which is remembered today solely for the ending of this match when Nagasaki was seen to hypnotise Brookside so that he would turn on his own partner. After the demise of ITV wrestling Regal went to work for Orig Williams at Reslo where he faced all comers including the mammoth Giant Haystacks on a number of occasions. 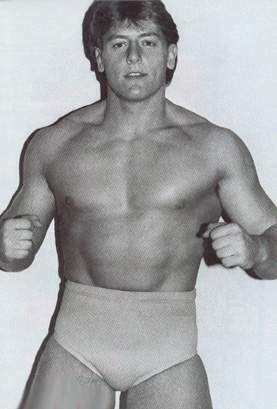 Although Regal continued to wrestle around the UK , South Africa and also Europe he was soon to leave his native England and move to America. In 1993 Regal joined World Championship Wrestling in America where he became Lord Steven Regal Regal had success in America winning the World Television Title on four occasions before he was teamed up with fellow Englishman Dave Taylor where they wrestled as The Blue Bloods. In 1998 Regal joined the WWE where he stayed for a year before returning to WCW in 1999. Regal was released from his contract in 2000 and again returned to the WWE where he remains today as one of the Companies leading trainers and commentators. 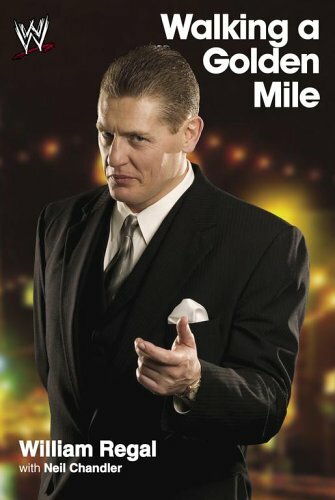 Regal has released his autobiography entitled Walking a Golden Mile which has received great praise for his forthrightness of his life and the wrestling business. Regal is without doubt one of the few wrestlers who has made a big name for himself both in the UK, Europe and America and remains an integral part of the wrestling business.